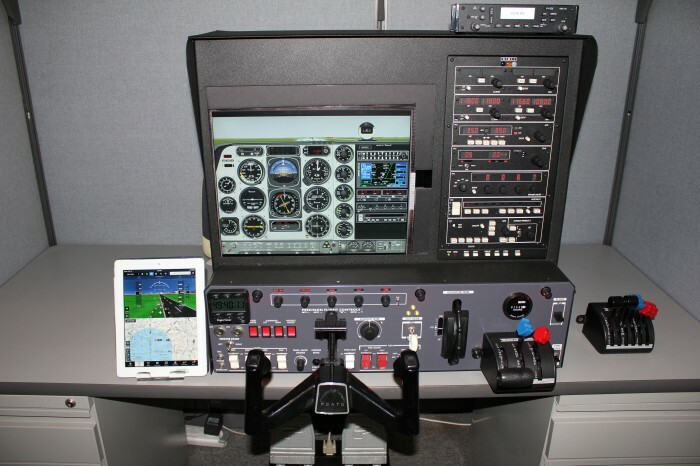 Our Simulator (Precision Flight Controls Cat III model) is an excellent tool for training and re-currency practice. It can be configured either as a single-engine or twin-engine airplane and several type-specific panels can be displayed on the screen. This simulator is PC-based and has the most current ELITE training systems software (8.6). Our simulator is FAA-approved as a Basic Aviation Training Device (BATD) with significant, state-of the-art upgrades. American Air provides some of the training in this simulator for the Private Pilot, Commercial Pilot, Multiengine Pilot, Flight Instructor, Instrument Flight Instructor, Multiengine Flight Instructor and Airline Transport Pilot courses. We also provide instrument flight proficiency training in our simulator. Weather conditions, lighting, systems malfunctions and complex scenarios can be modified and controlled from the instructor’s station. The flight data can be recorded and printed for student study after the flight. Our simulator is located in private, quiet and comfortable room where there are no distractions. The simulator is equipped with a GNS 430 GPS-WAAS, VOR, LOC, GS, coupled autopilot, flight director, altitude alert system, radar altimeter and much more. 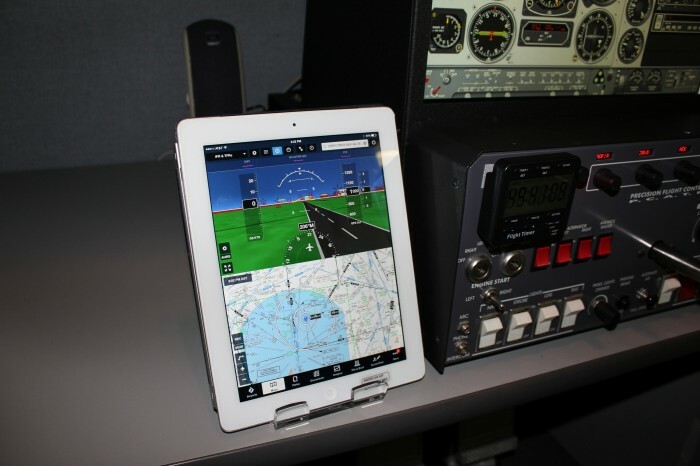 You can use your iPad with Foreflight or other applications and the simulator will send geo-referenced position, real-time weather radar imagery and synthetic vision imagery to your iPad display. Our flight simulator can also be rented without an instructor for non-logged practice if desired. 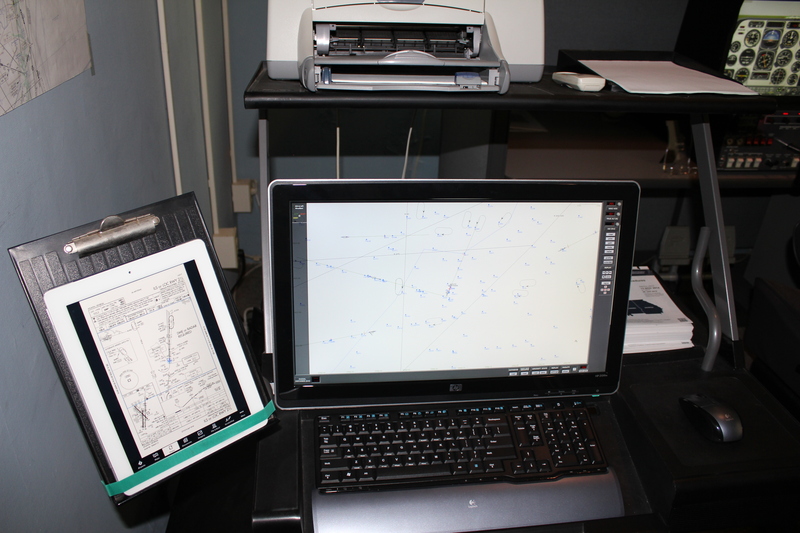 instructor can print out a page with the flight path map overlay and pertinent flight data for the student.